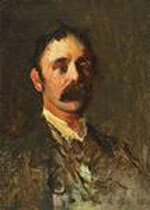 The Henry Lawson mentioned above was one of Australia's most famous poets and authors. My grandmother met him on one occasion, although she was not the sort of person to attend literary soirees or hang out with the patrons and producers of the arts. Her meeting happened in the street in Sydney when Lawson, down and out and in the throes of severe alcoholism, approached her and asked for a few coins to buy a cup of tea. This fiery lady, who once famously manhandled a Catholic priest and threw him from her door into the street, was happy to be generous to this living national treasure, even though she knew that the "tea" would probably be poured from a bottle rather than a teapot. I mentioned last month that a homeopath and his wife were on trial for manslaughter following the death of their daughter. They have now been found guilty, and you can read the story here. Even if the child had recovered from the eczema, she would have been partially blind because of the parents' ignorance. 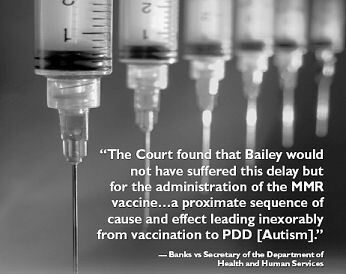 Remember - this wasn't just an example of someone blindly following the advice of a quack, or listening to a quack and getting the instructions wrong. This was a quack killing his own daughter because he thought that he knew better than real doctors, and he kept right on killing her even though it was obvious that harm was being done. Sentencing will happen in a few weeks, and I hope these people spend a long time locked away from any possibility that they can give any more advice that could kill someone. In a beautiful example of non sequitur and acceptance of quackery, when I reported the court result on an alternative medicine forum I was immediately asked why I was complaining about this case and not another one where a man received an incredibly short sentence for abandoning his wife to die in a diving accident. I asked the writer what scuba diving had to do with alternative medicine and whether the disgraceful behaviour of the diver excused the homeopath killing his daughter. At the time of writing this I haven't received an answer, but I would almost bet money that any reply will either be irrelevant or another non sequitur. Olivia, my eldest daughter, caught measles when she was seven years old. As the illness took its usual course I can remember reading to her often in bed and not feeling particularly alarmed about it. Then one morning, when she was well on the road to recovery, I was sitting on her bed showing her how to fashion little animals out of coloured pipe-cleaners, and when it came to her turn to make one herself, I noticed that her fingers and her mind were not working together and she couldn't do anything. "Are you feeling all right?" I asked her. "I feel all sleepy, " she said. In an hour, she was unconscious. In twelve hours she was dead. British author Simon Singh is being sued for libel by chiropractors for saying that they are happy to promote bogus cures. A judge has ruled that this is defamatory, as it is apparently a statement that chiropractors knowingly engage in deceptive practices. If Simon had left out the word "happily" it would merely have been a statement of opinion about chiropractic. As any thinking person can see that the claims of chiropractic to treat or cure almost all ailments are in fact bogus it is safe to assume that at least a majority of chiropractors also know this and are happy to keep making the claims, but I have had personal experience of the way that the law can treat the literal meanings of words without reference to reality. Simon will be appealing the ruling, but in the meantime a petition has been started at the Sense About Science site. I signed as soon as I heard about it, and the list of signatories so far includes most of the people I would like to meet before I die. You can go here to add your name. I don't know if the petition will make any difference, but at least it might bring public attention to the way that charlatans and fraudsters avoid discussing the science of their claims and instead hide behind defamation and intellectual property laws. Unfortunately, the article no longer available on the web site of The Guardian. You can read a slightly revised, strictly legal version here. There has been an outbreak of hysteria about a couple of videos which have appeared on YouTube showing some images taken on NASA spaceflights. The story is that that these videos have been suppressed by NASA because they show UFOs and nobody has ever been able to explain them. 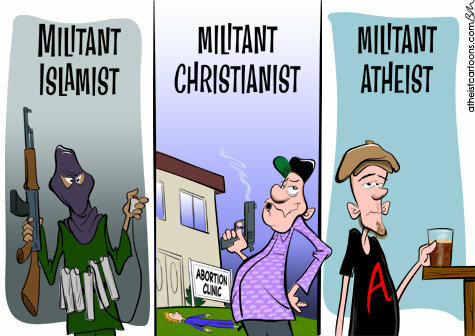 Reality is, as usual, quite different. One of the videos was recorded by astronaut Thomas Jones on the STS-66 mission in 1996 and shows ice particles shed from the spacecraft being blown around by the exhaust blast from the craft's thrusters. The video is hardly secret and has been known for years, as has the prosaic explanation. The second video was recorded by Morio Runco on the STS-77 mission, also in 1996, and was recorded as part of an experiment named PAB-STU to see if the Earth's magnetic field could be used to position satellites. The mysterious object is a garbage-can sized satellite with two reflectors on it, resulting in two reflections which appear to move about as a pair of lights. The experiment went on for several days but the YouTube video only shows a few seconds of recording, with the voice track obviously recorded at a different time to the visuals. UFO nuts make much of the "fact" that in both cases the astronaut speaking seems to be suggesting that he doesn't know what he is looking at, but in real life any astronaut who was filming a real, unexplained anomaly would be showing much more emotion. Daytime television needs filler to go between the advertisements for weight-loss treatments and labour-saving devices, which is how I came to be on the Channel 7 Morning Show to talk about UFOs, and particularly the UFOs seen in the latest hit videos on YouTube. I just wish they had picked some objects which were more "unexplained" to talk about than these two. As I said to the UFO expert after we had gone off air, the real story here wasn't UFOs, it was how a non-story can become a sensation just because someone who is unaware of history puts something on YouTube and the gullible masses rush to look at it. Here is the television program segment. It is on YouTube, of course. In November 2002, the BBC's Horizon program tried to win Randi's $1,000,000 by demonstrating that there might be some science behind homeopathy. They failed on both counts. Here is the resulting television show, broken into five parts to comply with YouTube's rules for video length (but perhaps not their copyright rules). 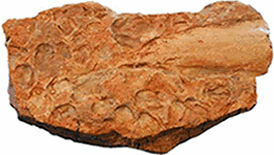 See the five parts here. Things are still a bit quiet around here. Some of you might be aware of the happenings at Australian Skeptics Inc over the last few months, where the long-time editor and Executive Officer retired and the replacement person didn't work out for various reasons. I have been acting as Executive Officer for the last few weeks on top of my normal job, and this has made time to work on hobbies like this site a little restricted. A new person has now been appointed to fill the roles, but I still have some work to do before a complete handover can be finalised. I stood down as President at the recent election and as soon as the accounts for the year are finished and responsibility for the web site is transferred I will just be an ordinary committee member with lots of time to spend on personal projects like this site and the Australian Council Against Health Fraud. I was wandering through the town of Penrith the other day and I thought I might visit the music shop where I bought my last guitar. The shop had closed, but a sign in the window said that they had moved to larger premises a little further down the street. This could only be a good thing as the shop had been too small to fit a grand piano (and even an upright was a tight fit), and while it was possible to look at a cello in the place, playing it meant you kept hitting your elbow on a wall. The shop did not sell a lot of trombones. 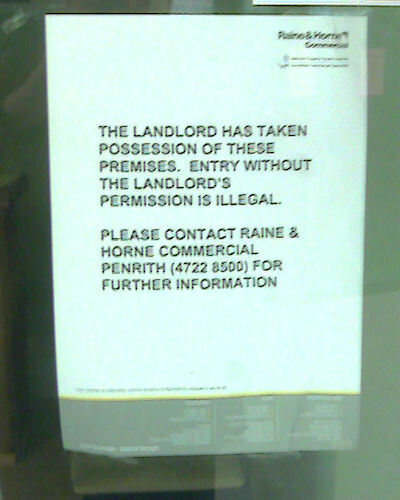 You don't get a notice like that by being nice to the leasing agent. You get it by being in serious default on the rent. A delicious shiver of Schadenfreude ran up my spine as I contemplated the idea that a quack had gone broke. I wonder if the real estate agent had slipped a warning under the door saying "Chiropractor, your rent cheque was bogus. Are you happy?" Paralleling the discovery of HIV and the rise of the AIDS pandemic, a flock of naysayers has dedicated itself to replacing genuine knowledge with destructive misinformation—and spreading [this] from the fringe to the mainstream media. Now from the editor of the journal AIDS and Behavior comes a bold expose of the scientific and sociopolitical forces involved in this toxic evasion. Denying AIDS traces the origins of AIDS dissidents during the earliest days of the epidemic and delves into the psychology and politics of the current denial movement in its various incarnations. Seth Kalichman focuses not on the "difficult" or doubting patient, but on organized, widespread forms of denial (including the idea that HFV itself is a myth and HIV treatments are poison) and the junk science, faulty logic, conspiracy theories, and larger forces of homophobia and racism that fuel them. The malignant results of AIDS denial can be seen in those individuals who refuse to be tested, ignore their diagnoses, or reject the treatments that could save their lives. Instead of ignoring these currents, asserts Kalichman, science has a duty to counter them. An excellent read, and thoroughly recommended. The book has a useful set of notes in the back, and one which caught my eye took me to Denialism.com, where I found the following definition. I am sure it will resonate with regular readers of The Millenium Project just as it did with me. 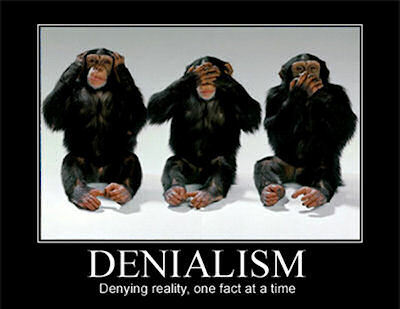 Denialism: the employment of rhetorical tactics to give the appearance of argument or legitimate debate, when in actuality there is none. These false arguments are used when one has few or no facts to support one's viewpoint against a scientific consensus or against overwhelming evidence to the contrary. They are effective in distracting from actual useful debate using emotionally appealing, but ultimately empty and illogical assertions. As anyone can see from my hate mail collection, I get some really strange emails. I have to admit, however, that the one below from Frank Hatch has me befuddled. Some things are just too complicated for me to get my small brain around. I have retained the strange text formatting, which just made it weirder, but I have removed Frank's address. The Earth will fall into Null Space. No email list is maintained. Search either Initial Mass Displacements or Frank Hatch for Browser Language availiable at FrankHatchiii.com. FrankHatchiii.com has been translated into several languages, but my working language is English. If you can use English, please send your replies in English. Thank you. 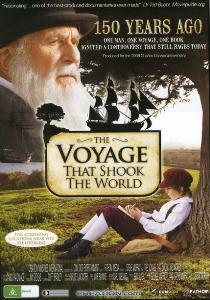 The big event this weekend was to be a showing of the creationist film The Voyage That Shook The World. I was looking forward to this because the movie trailer managed to run for over four seconds before an inaccuracy (some would say "lie") was presented. The cost of entry to the film showing was to sit through a service at a small Pentecostal church, so several intrepid members of the Western Sydney Freethinkers group assembled out of the rain for some singing, some cries of "Hallelujah" and "Praise Jesus", and a couple of personal testimonies from members of the congregation. Then the bad news came - the person who was going to introduce the video had left the DVD at home and it was too far away to go back and get it. As this was supposed to be the premiere of the film it seemed to be a very careless oversight, but we got to see a video of a talk given to a creationists conference in 2003 instead. Space does not permit me to detail the errors, inconsistencies and misrepresentations of evolution offered by the speaker in the video. A question and answer session followed, where "evolutionists" got to ask hard questions and the representatives of Creation Ministries International (nee Answers in Genesis) got to prevaricate, side step, employ non sequitur and misrepresent science. When the Holocaust was blamed on Darwin and evolution, Godwin's Law was invoked and we all went to lunch. When I arrived I was told that one of the books on sale mentioned me. In fact, half of the book was written by me. It was an account of a debate that I unwisely entered into in 2005, an experience that taught me that people claiming to be Christians could be very deceitful indeed. As the book was being sold, not given away, I had never been sent a copy, and it was contributing to the coffers of CMI, I asked for a free copy. The man behind the table said that he would buy it for me, which wasn't exactly what I wanted. It was refreshing to reread my contribution and annoying to be reminded of the way that my opponents never once addressed the question. I was also reminded that I was criticised by the debate moderator for having 1,502 words in one of my submissions, exceeding the 1,500 word limit. The corresponding effort by the creationists included 35 links to pages on their web site but attracted no comment from the moderator, despite being the equivalent of reading several books aloud in a spoken debate with the reading time not being included in the three minute lime limit. 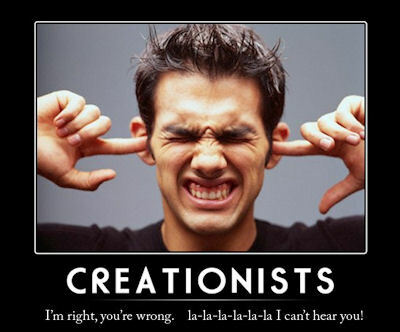 Did I mention that the debate moderator was a creationist? (I didn't know this until after the debate had concluded. Prior knowledge of this would have affected my enthusiasm to participate). Another thing I was reminded of was that by the third round I had given up trying to actually debate anyone. When presented with, as an example, the argument that we share a proportion of our genes with tomatoes because God wanted to make it possible for us to eat them, the only possible action for a sentient person is to retreat. I didn't think that anything would have been achieved by pointing out that this made humans the perfect food for humans. One of the myths of alternative medicine is that the cure for cancer has been known for a long time but the cure is suppressed to preserve the "trillion dollar" cut, burn and poison industry. (Of course there are many mutually exclusive causes and cures for cancer offered by quacks, but why should anyone expect consistency and honesty from these people?) The conspiracy requires doctors, nurses, employees of pharmaceutical companies, university researchers, employees of charities which raise funds for research or palliation and a whole host of other people to allow themselves and their loved ones to die of cancer in order to protect the secret and the money. That this is absurd should be obvious to even the most brain-dead follower of quackery, but unfortunately people who can believe in the curative powers of magic water or energy-transforming hand waving are inclined to believe anything. Australia has a system called the Order of Australia which exists to honour citizens who have made significant contributions to society. The awards are announced on two days in the year, Australia Day (January 26) and the quaintly named Queen's Birthday (generally the first or second Monday in June). The list of recipients is a very closely guarded secret, and the newspapers of the relevant days receive heavy scrutiny by those who think they might have received a mention. An exception to the secrecy was made this year when the Prime Minister visited one of the recipients a few days before the date to present him with his medal. The reason that this was done was that the recipient was not expected to live until the official announcement date. The person in question was Dr Chris O'Brien, a cancer researcher who had been diagnosed with cancer in 2006. He died on June 4, and his death was front-page news across the country, and politicians, dignitaries and ordinary folk of all persuasions expressed their sympathy and queued for his state funeral. He will be memorialised by the Lifehouse research centre, which is expected to be completed in the next three years. The idea that Dr O'Brien knew that a cure existed but chose to die instead of breaking ranks with the medical industry is not just insulting to Chris O'Brien and his family. It is insulting to the doctors who worked with him and those who gave him medical advice It is insulting to the countless doctors and researchers throughout the world who are working to find answers. It is insulting to the intelligence of people who can think. There is not one quack in the world with a guaranteed cure for cancer who has contributed a millionth of a percent of what Dr O'Brien gave to humanity. There is not one who would be missed for a nanosecond after they died. Early in the week I fell over while walking down the street, resulting in the destruction of a perfectly good pair of trousers, a skinned left knee, and a badly twisted right ankle. I have been limping around with the ankle strapped ever since. I decided to apply the homeopathic principle of Like Cures Like so I have been treating it with a 30C preparation of concrete, and as the path was damp I have also been using a 20X preparation of rain water. It has been getting a little better each day, so I guess the homeopathy must be working. Someone said "Post hoc ergo propter hoc" to me, but as I have forgotten most of the Latin I learned at school I didn't know what they were talking about. One of the songs at the church service mentioned above included the words "Jesus heals the lame", but my ankle felt the same afterwards so I assume that Jesus was either having a day off or wasn't fixing lame atheists that day. The 2009 Australian Skeptics Convention will be held in Brisbane in November. Full details will be here and on the Queensland Skeptics site shortly, but all that fans of The Millenium Project need to know is that I will be speaking at the convention on the topic of the psychology of risk assessment. Get out your diaries and pencil in November 27 to 29. Author and journalist Simon Singh will be speaking at the Seymour Centre in Sydney on July 15. More details at Sydney Ideas, where you can get a ticket like this. Yes, somehow I forgot to get my flu shot earlier this year. 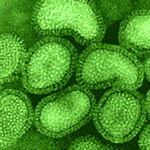 Yes, I got the flu instead. That is why this update is late, so late in fact that it is going to be the next update as well so I can go back to bed. One of these years I will manage to get all my shots before I need them, with the only timing problem being getting over the inevitable autism before I need to do anything useful after going to the doctor. I suppose I could consider it a bright side effect that I went down with the cough and fever before I had fully recovered from last week's sprained ankle, thereby minimising my need for doctor's appointments, analgesic medication and unproductive days off from work. Another plus is that I am taking Tamiflu (just in case I've got a touch of the swine flu), so I got to be reminded about how anti-vaccination liars describe this antiviral medication that only comes in capsules as a vaccine that is injected into infants. Not that I needed to be reminded about how they lie, of course. When I have a few spare moments and need some cheering up I sometimes go to Cracked.com, which rather surprisingly bills itself as "America's Only Humor & Video Site, Since 1958". I'll leave the "Only" part to lawyers acting for other humorous sites, but I am really impressed with a site that has been online for eleven more years than the Internet has existed and even more years before the invention of HTML and the WWW. Perhaps I don't get the humour. Still, a lot of stuff there is very funny, and one thing I saw this week was "7 Retarded Food Myths the Internet Thinks Are True". And just to show that extreme longevity on the web doesn't protect you from Google Inappropriate Ad Syndrome (GIAS), here is what was on the top of the Cracked page when I last went there. With Charles Darwin's 200th birthday just past and the 150th anniversary of the publication of On the Origin of Species coming up, this is a big year for Darwin fans. The magazine Nature is celebrating as hard as anyone, and one of their contributions is a pamphlet titled 15 Evolutionary Gems. They are encouraging everybody to distribute it and I am only too happy to comply, so you can see a copy here. Feel free to distribute it as widely as possible. The list of its contents appears below. Phelps might despise Michael Jackson, but that didn't stop him from stealing one of Jackson's songs. If anyone needed any evidence of the insanity of the Westboro Baptist Church, this is it. You should watch the lot, but get the vomit bucket out for some child abuse starting at about the five-minute mark. Have you ever wondered how the Westboro Baptists might react to a suggestion that one of their number was gay? The Australian satirical television program The Chaser's War on Everything decided to find out, and who better to accuse of a touch of fagness than the son of Saint Fred himself? I haven't spent the whole of the week in bed with scantily-clad maidens wiping the sweat from my fevered brow and feeding me a diet of grapes and hot lemon drink. Well, not all of it anyway. Actually, it was none of it now I come to think about it. Must have been the hallucinatory side effect of Tamiflu. I must remember to submit an adverse reaction report to whoever collects such things. 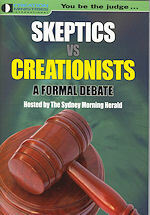 What I did do was write the next Naked Skeptic column for Australasian Science magazine. I thought that it would be unwise to work unclad, given that I had a fever from the flu and it was about 4°C outside (without allowing for wind chill), so just between you and me I have to admit that I wrote this one while fully clothed. Don't tell anyone. What you can tell everyone is that they should subscribe to this excellent magazine. As the edition with this latest column won't be on the newsstands until the end of July I will wait for a week or two before publishing it here.